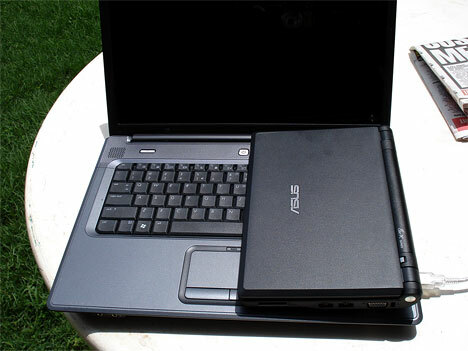 The original 7iinch ASUS eeePC. Taking Christensen's insight on disruptive innovation (summarized so well by Basulto) as the starting point, we could just as easily extend that thought to say that those innovations that are simpler, cheaper and offer value to the less profitable—those successful at the Bottom of the Pyramid (BoP), in other words—are the ones which contain seeds of disruption in markets outside of their intended audience. Perhaps its time we took a closer look at "underperforming" products developed specifically for the less profitable consumer, along with their supporting ecosystem innovations in business models, distributions and pricing. The original 7-inch ASUS eeePC is an excellent case in point. Inspired by the concept of the $100 laptop for the developing world, called a 'children's computer,' sneered at for its teeny keyboard and bare minimum features, it was the wedge that has changed the computer market of today, creating an entirely new category—the netbook— and influencing pricing and form factor for personal computers for every market, rich or poor, in less than 3 years. There's evidence that the shift of consumers away from more expensive products is a widespread trend. In the consumer electronics industry, for example, McKinsey research found that 60 percent of consumers were more interested in a core set of product features at a reasonable price than in the bells and whistles of the latest and greatest technology at a higher price. Similarly, in the building-products industry, there is a trend away from premium-priced design features and toward simpler, more basic designs. Understanding this challenging shift in consumer behaviour is necessary for companies to compete successfully. It represents an opportunity for those that respond quickly and effectively to differentiate themselves from their peers. This finding has been echoed by the likes of HJ Heinz' CEO, The Huffington Report and even consumer research in Germany. Perhaps its time we took a closer look at a few more examples of such "underperforming" products designed and developed specifically for the less profitable consumer, along with their supporting ecosystem innovations in business models, distributions and pricing. Some have already begun showing the ripples of disruptive influence way beyond any particular product category or service. The Tata Group After demonstrating their commitment to low-income markets with the launch of the 100,000 rupee Nano, the Tata's have taken the lessons from constraint-driven innovation to other product categories. A renewed focus on low income housing is on the way. 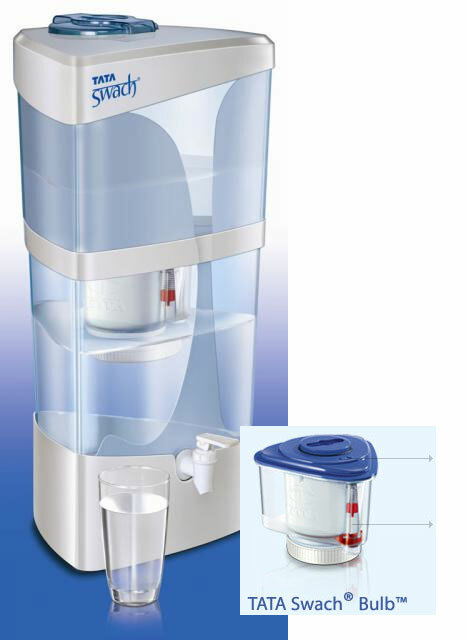 Their most recent product to be released was the Swach, an eco-friendly potable water supply system. Echoing elements of the Nano—strong product design, uncompromising adherence to meeting a preset retail price and modularity in construction and usage—the Swach is half the price of the nearest competitor (Unilever) in the low cost water filter market. Distribution piggybacks onto their existing channels of supplying Tata Salt to myriads of kirana shops and corner stores. Marketing has already begun to lower the barriers to "technology adoption" by referring to the rice husk and ash filtration unit as a "bulb," to simply be changed when required. In addition, there's no lock-in to purchase replacement parts, as the Bulb can be purchased for 1/3 the price without the need to buy the whole container. Tata hopes that people will simply fit the Bulb to any potable water container in the house—the important thing is that they have access to affordable drinking water. Their next target market is the African continent. The entry level mobile phone The Nokia 1100 exemplifies Christensen's observation on disruptive innovation—a simple, low cost GSM device, over 200 million have been sold, making it the best selling cellphone in the world today. But the reach and influence of this device has gone further and deeper than imagined when the product was first launched. 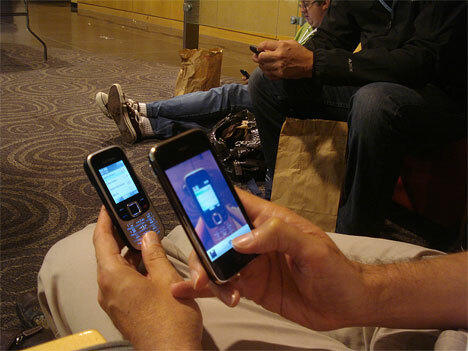 There are now over 4 billion mobile phone users in the world, a critical mass that gives rise to endless possibilities. In India, the model was released around the time Reliance Comm announced a major price point discount on cellular calls, kick-starting the undeniable wireless revolution taking place in that entire market today. Operators are battling for the elusive fortune by dropping prices to unprecedented levels, even as local manufacturers go after the common man with cheap imports and flashy features. Meanwhile, Kenya's Safaricom launched mPesa, a mobile based payment system that works on any GSM phone, which is today the poster child for successful services targeted at the high volume/low margin market. In its own way, it's disrupting financial and banking services anywhere there is a cellular signal. 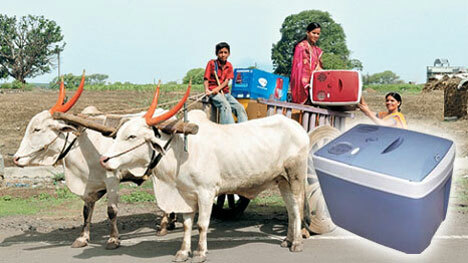 Re-imagined household appliances Refrigerators have come to the forefront of the news with the launch of Godrej's Chotu Kool—a top loading unit co-created with their target audience in rural India, it does not require electricity and has one tenth the number of parts required in a conventional fridge. The refrigerator weighs only 7.8 kg, runs on a cooling chip and a fan similar to those used to cool computers. 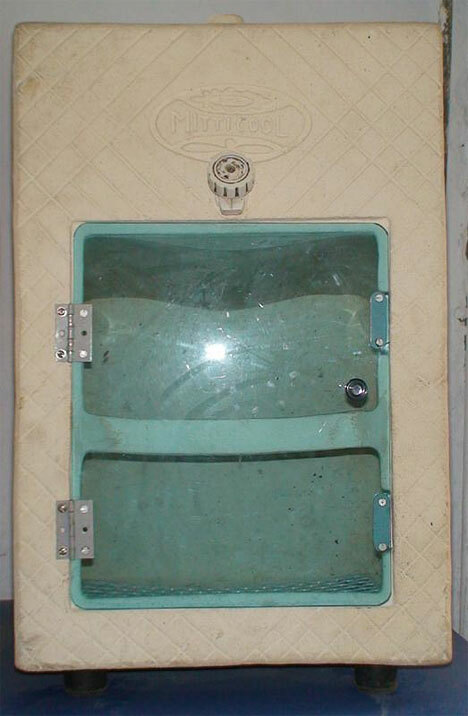 Chotukool consumes half the power consumed by regular refrigerators and uses high-end insulation to stay cool for hours without power while costing only Rs 3250 (USD 69). It is being distributed and marketed through partnerships with micro-finance institutions. 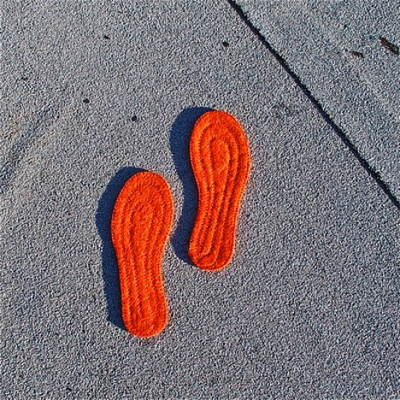 As this clay based precursor, the Rs 3000 (USD 55) Mitti Cool demonstrates, there have been a plethora of alternative solutions to the needs defined by basic household appliances. In the searing heat of the Indian summer, illnesses can be prevented by keeping milk and cooked food too cool to spoil. What Godrej has done however is taken the basic concept of low cost solutions and applied it to a mass market consumer good, to be marketed, branded and sold just like any other home appliance. Less moving parts imply ease of repair and maintenance, lower cost of ownership and possibilities for eco-innovations, a trend that could permeate the way appliances are currently designed and built for more profitable markets. Alternative Power, Affordably Where solar power has not really managed to take off in the established markets connected 24/7 to the power grid and remains still an expensive piece of additional equipment for the hobbyist, its beginning to show up as an affordable yet safe alternative in the growth markets of the developing world where kerosene is still the primary source of heat and light. Product design and development for these challenging markets show all the signs of being a form of disruptive technology or innovation. Katie Fehrenbacher wonders if solar technology will manage to leapfrog the need for an infrastructural grid in these countries, and mentions Duron's products on the market for USD 130. Recently, a yet to be released panel, by another California startup ReGen and designed by design guru Robert Brunner, was hinted to be in the shops by June at a price point of USD 199. 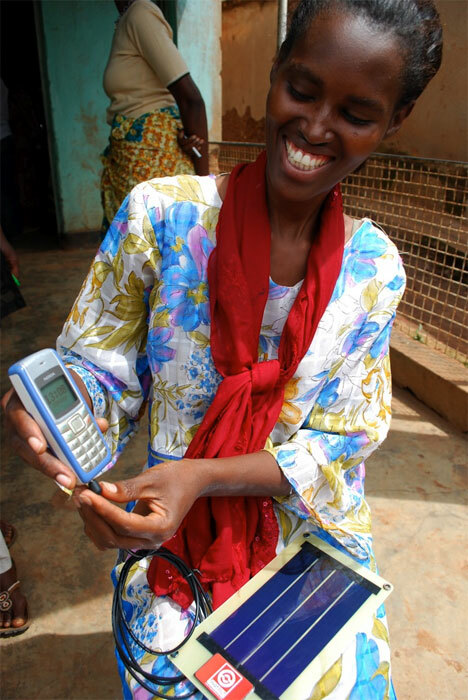 In the meantime, available for sale in Madagascar and Kenya are the ToughStuff line of solar panels and accessories for just USD 30—in fact, even at that lower price, claims the company's website, they are still able to donate one equivalent kit in the form of a "business in a bag" to a would be entreprenuer in Africa. One could set up as the neighbourhood 'chargepoint' for mobile phones or radio batteries or even rent out the whole kit for others to use. Disruption in design thinking? Certainly, product design and development for these challenging markets show all the signs of being a form of disruptive technology or innovation per Christensen's view—they are simpler and easier, provide flexibility in use and cost and are often far more cost effective utilizing less materials and resources. But they also go one step beyond the obvious when we think of product development for the lower income demographic or "Bottom of the Pyramid"—they tend to be designed for shared use or multiple functionality, they are often distributed or marketed as a way to increase one's income and by virtue of the cost constraints, tend to use less material and energy or other resources. When we take the shift in observed consumer behaviour in the highly developed markets of the United States—as reported by McKinsey or consumer research in Germany—there's a hint of the need to shift the way we approach design, for all markets, not just the BoP. Where design of consumer products tended to begin with the assumptions of individual ownership or entertainment or passive consumption of throwaway convenience, its time to look at increasing productivity and opportunities for income generation while minimizing the impact on the environment and need for resources. 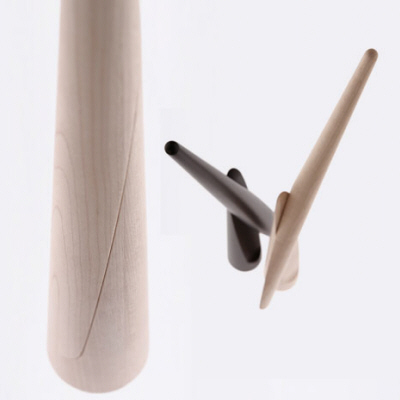 With thanks to Mikko Koskinen and the Aalto Design Factory for their contribution to the framing of this article. Niti Bhan focuses on offering strategic insight for growth opportunities and revenue generation in the rapidly evolving interstitial space between design and business. Her 15 years of experience include employers such McCann Erickson Worldwide, Hewlett Packard India, The Second City and most recently, the Institute of Design. She is an engineer and an MBA whose most significant achievement in the field of design has been dropping out of two graduate design programs on two continents in two centuries - the National Institute of Design, Ahmedabad and the Institute of Design, Chicago. Her areas of interest are business intelligence and trends, business strategy as well as creating a compelling user case for design as force for increasing value. I find the examples presented in the article interesting, but I keep my reservation about the validity of the name of the title. This title is lining toward the old school theory of market segmentationâ€”to divide the market by age, gender, occupations, and ect. However, as research shows, the nation that customers â€œhireâ€ products to do specific â€œjobsâ€ is a far more effective approach to recognize the market demand. And I believe we can better appreciate those interesting examples using this approach. Tata is rocking all over india. Even they have entered each and every masket and they are being the first competitor in every markets in inda startin from IT to Food stuffs. I am an idealist myself, but I have been hungry without a credit card or a credit rating or job, too. real disruption would be changing the imbalance in the world and closing the disparity gap, in that both edges converge rather than one tries to catch up with the other. As a designer, the unmet need I see is that of improving quality of life - in this case, that might imply value (wealth) creation. "Where design of consumer products tended to begin with the assumptions of individual ownership or entertainment or passive consumption of throwaway convenience, its time to look at increasing productivity and opportunities for income generation while minimizing the impact on the environment and need for resources." Though I agree with Bhan's point about creating products that "minimize the impact on the environment and need for resources," I question the stated agenda behind creating new products. Why is the primary need that is being called for here related to increasing products and opportunities for income generation? If we are really looking at the needs of the lower income demographic or those in the "bottom of the pyramid," I'm not sure that income generation should be the primary concern. I have a more idealized view of where I would like to see design impact society. A view where designers see needs, extensions of the design's life, how these designs could improve the journey and more positively interact with our lives, rather than an artifact's brief impact on the market. It seems to me that this incessant creation of things cannot last, and that it would be more valuable to start shifting our thinking of what consumer products are and should be in today's society. Truly considering the value, before it's created--considering questions like, how could this design impact our world/community/society/culture in, say, 50 years? If we are, here, examining the place for disruptive innovations (or design considerations that should be related to those disruptive innovations), maybe what we should be looking at is how to integrate a design approach that considers our true needs and the needs of others--maybe through disruptive innovation, maybe not--into the market. Disruptive innovation, especially from developing locations of the world, will be the movement of the future. Design has become so caught up in the next 'great' thing that it's losing sight of what it's intended to provide -- a simpler, less-complicated answer for our needs. I'm a big believer that the world's leading economies are about to fall on their face for ignoring this movement from the outside. Disruptive innovations are not substitute innovations with similar S curves and a time lag. They usher in a different price -performance envelope. 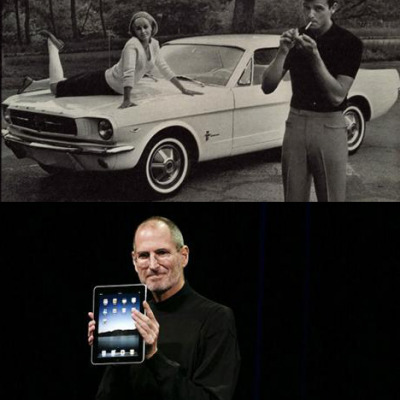 Again, all under-performing innovations do not someday become disruptive to the main players. That depends, most of the businesses mentioned here are those who've been around for a hundred years and have changed and evolved over this time to stay current - even gaining a reputation for nimble responsiveness to shifts in the operating environment. Tata founded 1868. Nokia founded 1865. Godrej founded 1897. That leaves ASUS - lets give them some time and Toughstuff too, after all we've just begun looking at computers and solar power. Disruptive innovations are discontinuous technology whose S-curve slope exceeds that of the technology it is replacing. You don't create a disruptive technology, you invest in a discontinuous innovation and continue to do so until disruption, or the slopes of those two S-curves intersect happens. It' easy to see discontinuous innovations after the fact. Before the fact, they are impossible to see, or even design. The business doing the innovation may not be around long enough to see the day when they disrupt. 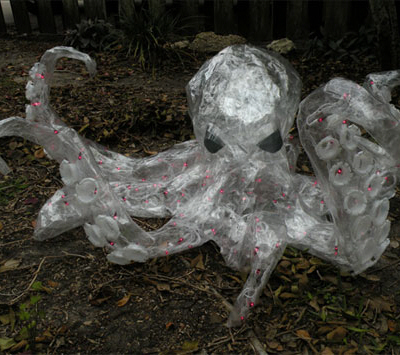 Tape sculptures: vote for your favorite or submit your own!